When Bishop Lawson stood up to preach, he would immediately electrify his congregations with a melodious outbreak of a song sung from his heart. Often not worrying about what key it was in, or whether there was even a musician around, he would prepare his listeners with an inspirational song. It was not uncommon for him to sing a song in the middle of a sermon. When he took his text, he would use the phase , "I want to call your attention to a passage of scripture found in...." His voice was powerful and his style profound. The most distinguishing feature about Bishop Lawson's preaching style was his attention to scripture as a basis for his almost every remark. He would hardly go more that three or four sentences without giving the listener a scripture and where it is found. He was poetic, historial, and extremely cognizant about the impact of world events upon Bible prophecy. His Bible was often filled with newspaper articles. Bishop Lawson's preaching appealed to the spiritual maturity of the individual and not the emotional. He taught the congregation to listen first and rejoice after one knows what the message had to say. While preaching he would often use the expression, "Are you listening" or "Blessed be God". During the sermon or altar call, no talking or walking was allowed. On occasion, he would take the words of a "popular" song and develop it into a sermon. One example was "The Great Pretender". However, most of the time, he would take his subject directly from the scriptual text he was presenting. He used is hands and arms with vitality and emphasis. His sermon background material would always be thoroughly researched for a historial, statistical, prophetic, academic and scriptural basis. He Traveled extensively around the country preaching the gospel of Jesus Christ in city after city. In the early thirties, he would set out after the radio broadcast on Sunday night and drive alone through the southern and western states preaching, praying, teaching and establishing new churches. Later, when Bishop H>D> JOnes and Bishop W.L. Bonner became his drivers, they often experienced detailed and comprehensive Bible classes while ehy drove Bishop lawson to his chosen destination. Bishop Lawson cried out against the evils of this world. He was called the "Bible Answer Man" and the Cry Loud Spare Not Preacher". He lashed out against homosexuality, false prophets and erroneous doctrines. He would call the homosexuals "sissies" of "he-she" and gave pointed scriptural references relating to God's rebuke of such practices. One of his sermons against homosexuality is entitled "The Thing In Town And Its Got to Go". He Often used the broadcast to vebally debate with Bishop Sherod C. Johnson of Philadelphia over the erroneous emphasis upon clothes rather then the heart. His standard was always the Word of God. , and his direction was taken from the Holy Ghost. 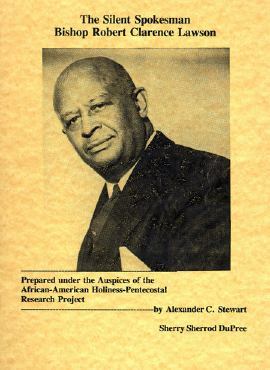 In 1953, "Ebony" magazine claimed Bishop lawson as one of the "ten leading ministers of Harlem. He despised laziness, boastfulness and a proud look. Disobedience or lack of attention to humbleness would bring a sharp rebuke, often in public, to remind the individual of the seriousness of his assigned tasks. Often being threaten with bodily harm by listeners and opposing individuals, he continued to preach with power, conviction and without fear. 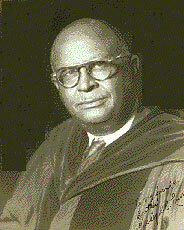 Bishop Lawson was a strict mentor and takmaster. He placed a hig value on obedience. The pastors and newly ordained Elders would sit in suspense as the new appointments ware made at the close of each annual convocation. A pastor would never know when or where Bishop lawson was going to send him. "Hitherto hath the Lord brought us..............."
Major Events Impacting History of C.O.O.L.J.C. History and Movements coming out of C.O.O.L.J.C. 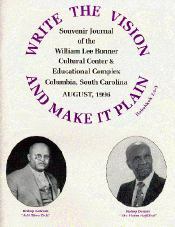 Copyright © 1998 Christ Temple Church of the Apostolic Faith Inc.